Susan Lawson and her daughter Julia. Photo courtesy of Susan Lawson. 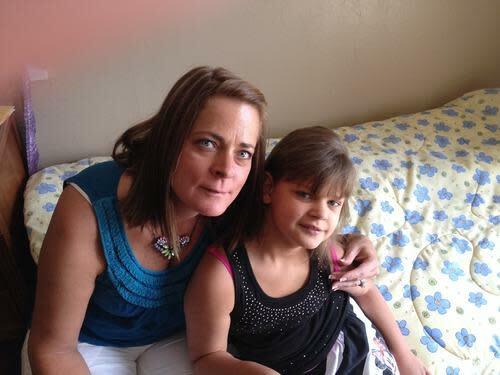 When Susan Lawson of Colorado hears parents declaring, unequivocally, that everyone should vaccinate their children because it’s perfectly safe, she says it feels “like a punch in the gut.” That’s because she’s seen another side of the story: Her daughter Julia, now 9, was left with permanent brain damage — an injury acknowledged by a federal court payout — after receiving her MMRV (measles-mumps-rubella-varicella) shot when she was a year old. Lawson tells Yahoo Parenting that one morning, about a week after Julia received the shot, her now-ex-husband found their daughter in a terrifying state. “She was blue and cold and her body was arched, her eyes were looking in opposite directions, and she was covered in feces and vomit,” she recalls. “We thought she was dead.” She was rushed to the hospital, where doctors said she was having seizures, and she was put into a medically induced coma. Julia spent many days in intensive care and the neurology ward before being sent home with the diagnosis of encephalitis, or swelling of the brain. Lawson, a veterinarian who had the utmost faith in medicine, had never before questioned vaccinations, and had always inoculated Julia right on schedule. But now she began to wonder. Hospital doctors dismissed any thought of a connection. But when Lawson asked a pediatrician about it, she was told it could be a possibility. Every family featured in this story received a payment by the United States Court of Federal Claims, which concluded that their rare injuries were caused by the vaccines. 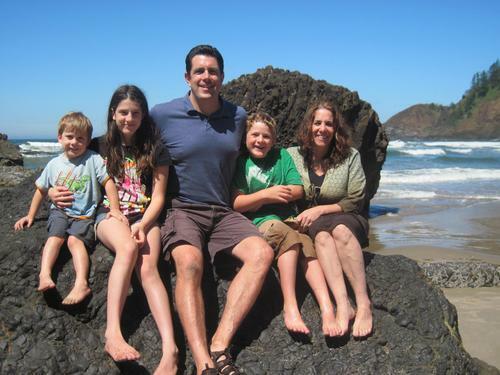 STORY: Should Pediatricians Refuse to Treat Unvaccinated Families? The pediatrician helped Lawson file a notice through the Vaccine Adverse Event Reporting System (VAERS), a national vaccine safety surveillance program cosponsored by the Centers for Disease Control and Prevention (CDC) and the Food and Drug Administration (FDA). Lawson then hired a vaccine-injury attorney and began what became a trying, four-year journey through the country’s National Vaccine Injury Compensation Program of the US Court of Federal Claims — a specific, no-fault forum for vaccine injuries or deaths, set up by Congress in 1986 to ensure justice for children (and, as clarified by the Supreme Court recently, to protect vaccine manufacturers from being sued). At the end of it, in 2011, Lawson was awarded nearly $1.5 million for lost future wages, future life care, and pain and suffering on behalf of her daughter, whom she describes as “an eternal toddler,” with little language skills, constant medications, and daily seizures. Julia and her brother during a period of hospitalization in 2008. Photo courtesy of Susan Lawson. An overwhelming majority of Americans agree: A just released Pew Research Survey found that 83 percent of the public says vaccines for diseases such as measles, mumps, and rubella (MMR) are safe for healthy children, while about nine percent think such vaccines are not safe; an additional seven percent say that they don’t know. Alisa Pittaluga, a pediatric occupational therapist and mother of three in upstate New York, had always felt a bit cautious when it came to vaccinations. “I’ve questioned it because of my profession,” she explains, noting that many parents over the years have expressed beliefs that their child’s medical conditions were somehow related to vaccines. Pittaluga believed in vaccinating, though, and compromised by delaying and spacing out the shots for her youngest child, Daniel, now 7. He had his first MMR shot right before he turned 4 (rather than at the CDC-recommended age of 12 to 15 months). Daniel Pittaluga several years ago, before receiving his shot. Photo courtesy of Alisa Pittaluga. Leukemia was ruled out; instead, he was diagnosed with the disorder idiopathic thrombocytopenic purpura (ITP), which leads to excessive bleeding or bruising because of low blood platelets that help to clot the blood. His pediatrician mentioned that it could have been associated with his MMR vaccination — as it has been found to be, according to the CDC’s list of MMR side effects, for about 1 in 30,000 doses. Luckily, Daniel’s condition resolved itself in a year (as do the majority of MMR-related cases). But during that time, he had to be monitored with weekly blood tests, hooked up to a IV blood bag for dangerously low platelet levels, and supervised constantly to make sure he never fell down and hit his head, which could have been deadly. “The hardest part was having a 3-year-old boy who was not allowed to run or jump,” Pittaluga says. She filed a claim with the vaccine-injury court and, at the end of 2014, was awarded compensation (a sum she requested be kept private), to be put into a trust for Daniel. Pittaluga, now pregnant with her fourth child, says she feels validated by the ruling, but forever changed. “I understand that with measles, people can have complications,” she says. “But watching your 3-year-old not being able to clot his blood for a year is much more terrifying to me.” She’s uncertain, for now, how she’ll proceed with vaccinations for her newborn, and admits to feeling “furious” regarding the anti-anti-vaxxer sentiments that dominate the media. Since the first Vaccine Injury Compensation Program (VICP) claimswere filed in 1989, nearly 4,000 compensation awards have been made, totaling nearly $3 billion; nearly 10,000 claims, meanwhile, have been dismissed. In 2014, the court made 365 awards totaling more than $223 million (counting both petitioner payouts and attorney fees); the totals represent payouts both in which the court concedes a vaccine connection and those that were simply settlements. In cases where petitioners win concession, payout amounts vary wildly due to severity of injury and whether a child dies or not. Deaths, Gentry explains, usually receive less, because when a child survives but sustains serious injury (as in Julia’s situation), the court makes payouts for future life care and future lost wages, as well as for pain and suffering. (Although the $250,000 caps for both death and pain-and-suffering payouts have not changed since 1986, Gentry notes). To date, the majority of compensated claims stem from reactions to DTP (1,270 injuries), influenza (985), and MMR (367) vaccines. Some injuries fall within what’s called the Vaccine Injury Table — a collection of conditions that, if they occur within a specified amount of time, “it is presumed that the vaccine was the cause of the injury or condition unless another cause is found.” Injuries that fall within the Table — including anaphylactic shock, encephalitis, chronic arthritis, and ITP (what Daniel had) — are meant to go through the court system more quickly (although it doesn’t always happen that way, as with Julia’s four-year case). Other cases become more drawn-out and complex, with many feeling “adversarial,” Gentry notes. “There are few Table injuries, so you almost always need to get an expert,” she says, noting that there have been no Table updates since the late ’90s — although additions are currently being considered, according to a spokesperson for the U.S. Department of Health Resources and Services Administration (which oversees the VICP), including the immune disorder Guillain-Barré Syndrome in relation to the influenza shot. “And,” Gentry says, “it’s incredibly difficult to get experts, as their reputations wind up getting viciously attacked.” Attorneys often pay for experts and medical records up front and get reimbursed at the end of a case. Many petitioners wind up taking settlements, Gentry notes, rather than risk getting into what can often turn into a three-year court dispute. The Pittaluga family, with Daniel at left. Photo courtesy of Alisa Pittaluga. 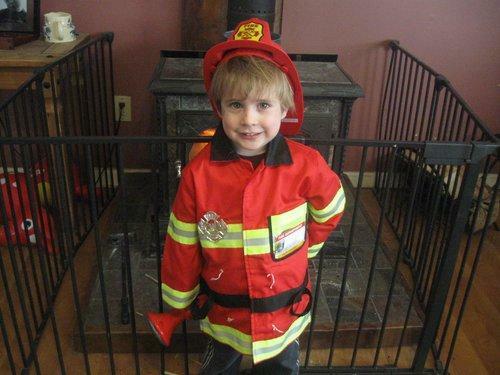 The case over Daniel’s ITP was one of 357 awards granted in fiscal year 2014. Others include one that garnered more than $2.3 million in compensation to a young North Carolina boy with encephalitis and permanent brain damage following a chicken pox vaccine (one of 127 awards so far in 2015); an Arkansas girl who was awarded $1.3 million for neurological damage sustained following MMR, hepatitis-A, and chicken pox vaccines; and an 8-year-old Kansas boy who, the court conceded, had a seizure disorder triggered by an underlying immune deficiency following a round of 12-month shots that included DTaP, HiB, MMR, Varicella (chicken pox), and Prevnar (pneumonia). The complicated court case took six years to reach a decision from the time it was filed in 2008. “The doctors couldn’t stop his seizures,” says his mother Ann, a stay-at-home mom to four children (who did not want her surname printed because of family privacy concerns). “But I didn’t attribute it to the shots. My mind didn’t go there.” At some point during her rounds of visits with baffled doctors, endless tests, her son losing his ability to speak and walk, large doses of steroids, and various diagnoses ranging from epilepsy to mitochondrial encephalomyopathy (a complex genetic disorder), a neurologist posited the vaccine-link theory. That led her to hire a vaccine-injury attorney and go through the court system; she’s still awaiting a decision on the amount of damages her son — who remains on anti-seizure medication — will be awarded. But, Ann says, she’s not anti-vaccine, and has since partially vaccinated her youngest children on a delayed schedule.